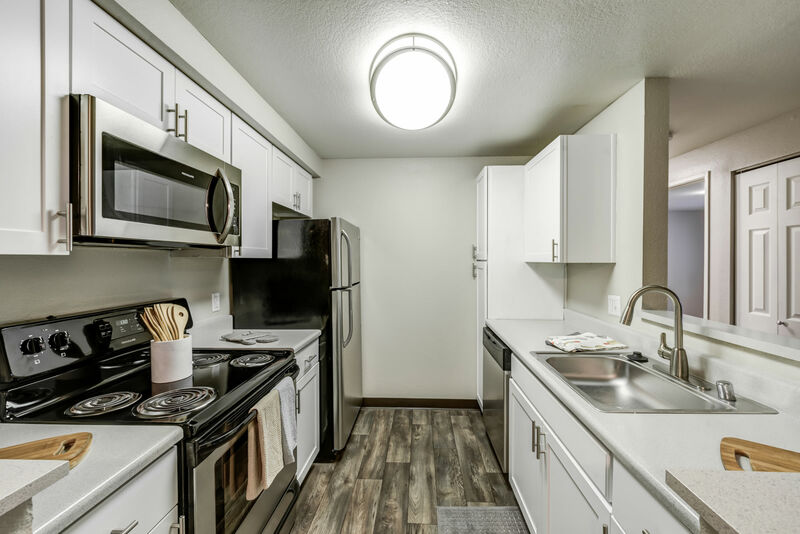 We offer one, two, and three bedroom apartment homes for rent near Boeing at a price that fits your budget. Choose the ideal home for your needs. Our open floor plans, separate dining area, and unique layouts give you options to arrange your furniture and belongings. Every Olin Fields Apartments apartment home features a separate laundry room with full-size washer and dryer. From select homes, enjoy views of our park-like grounds from your private balcony or patio. Our one bedroom apartments are 759 square feet and include a full bathroom with double sink vanity. Two bedroom, two bathroom apartments are 980 square feet and include a large master bedroom and oversized closets. Three bedroom, two bathroom apartments are 1,248 square feet. Residents will appreciate the master bedroom with walk-in closet and large pantry. Generous design features come standard with every Olin Fields Apartments apartment home. 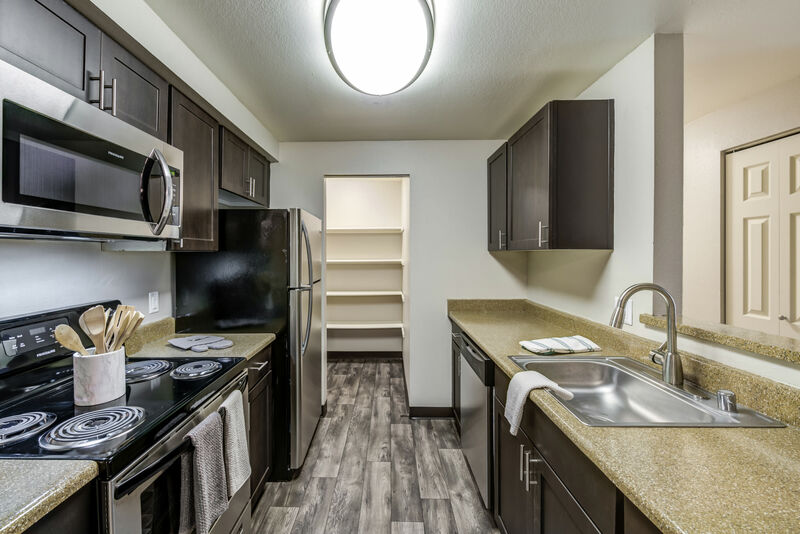 All of our floor plans include a full-size washer and dryer, pantry, and galley-style kitchen. Your next apartment is waiting for you at Olin Fields Apartments. Browse our floor plans and then schedule a personal tour of your favorite.